877-826-9866 Call or Text 24/7NOW IN WASHINGTON, D.C. 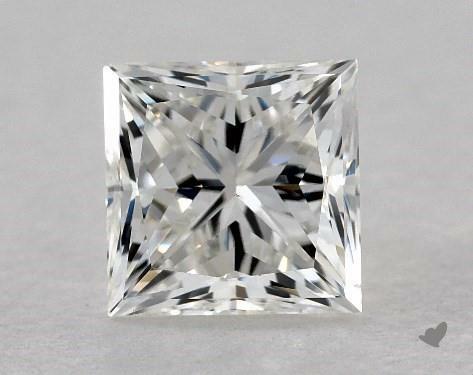 Please note that all diamonds on JamesAllen.com are photographed with up to 20x magnification, allowing you to see all facets of the diamond more easily than other websites. Place your order by 4 PM EST Today and we will ship it by Friday, April 26. Please note: If the diamond is part of an engagement ring, the completed ring will ship according to the shipping date of the setting. As a loose diamond: by Friday, April 26? Please note: the shipping date varies according to the selected setting(ring, metal, size) and diamond. An accurate shipping date is available on the complete ring page. Set in a ring/jewelry: Varies according to the different ring/jewelry setting. Every diamond featured on JamesAllen.com is inspected by our in-house gemologists prior to shipment. All of our diamonds are Conflict Free. We strive to offer diamonds at the best prices. Found a comparable diamond at a lower price? Call us at 877-826-9866. We will honor the price as long as it fulfills our Diamond Price Match criteria. You can choose a diamond first or start by choosing setting. 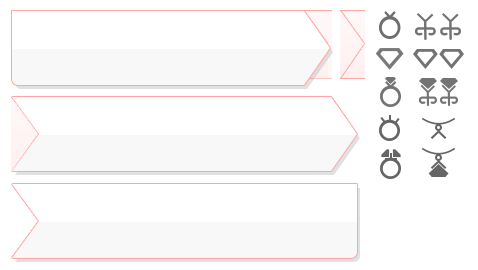 You can choose a setting first or start by choosing diamond. Review your diamond and setting selections before proceeding to our convenient checkout. Diamonds are available in a variety of shapes, which emphasize its specific features. The most popular diamond shapes are the Round, Princess, Emerald, Asscher, Oval, Radiant, Pear, Heart, Marquise, and Cushion Cut. A diamond’s color is an important element of its quality. In a white diamond, the less body color present, the greater the value of the diamond. The GIA grades diamonds on a scale of D (colorless) to Z (noticeable color). The cut of a diamond influences how effectively it reflects light. Well-cut diamonds appear fiery and brilliant and allow light to enter the stone and be reflected around the facets before exiting the stone through the top. Poorly-cut diamonds can appear lifeless and dark, despite their clarity or color grade. The carat is the unit used to measure a diamond or gemstone’s weight. A single carat weighs 200 milligrams. In general, the larger the diamond, the higher its value - although cut, color, and clarity also play a significant role in value. Clarity refers to the presence of imperfections, flaws and blemishes inside or on the surface of a diamond. The GIA grades diamond clarity under 10X magnification on a scale that ranges from Flawless (FL) to I2-3 (Included)—diamonds with the least amount of flaws having the highest clarity grading. A diamond’s clarity has a significant impact on its value. Polish refers to the smoothness of a diamond’s facets. Polish can affect a diamond’s brilliance. The GIA grades polish as follows: Excellent, Very Good, Good, Fair or Poor. A diamond’s symmetry refers to how well the facets of diamond are aligned and arranged around the stone. The more symmetrical the diamond, the more fire and brilliance it will display. Symmetry is more important in diamonds that have very high clarity grades. All of our diamonds are graded by the 3 most reputable diamond grading laboratories in the world: GIA, AGS & IGI. Select a price range that fits your budget. Depth refers to the height of the diamond, as measured from the top-table facet to bottom-culet facet. A diamond’s depth plays a key role in giving brilliance to the stone. If a diamond is cut too shallow or too deep, light will be lost, resulting in diminished brilliance. The table is the diamond’s largest facet, situated at the top. The table is the main entry and exit point for light. Table width is quoted as a percentage. A diamond’s fluorescence is its tendency to glow, usually blue, under ultraviolet light. Some studies indicate that a strong blue fluorescence is associated with a milky or hazy appearance in regular light, although the GIA has indicated that diamond fluorescence is usually imperceptible to the average consumer. The girdle is the outer edge of a diamond—the thin unpolished band around the widest part of a diamond. The girdle protects the edge of the stone from chipping. The culet is the face on the bottom of a diamond that looks like a point. The culet is often polished to be flat during the manufacturing process. Since no two diamonds are identical in proportion, a diamond’s measurements are primarily used for identification purposes. A diamond’s measurements, such as its length-to-width ratio, determine its overall beauty and brilliance. A diamond certificate, or grading report, is a blueprint and evaluation of a loose diamond. A certificate will report the measurements, carat weight, clarity, cut, and other key characteristics of the diamond. A diamond certificate from a reputable agency assures the quality of the diamond. Emission of visible light by a material when it is exposed to ultra violet radiation. Learn more. Our knowledgeable Customer Service Representatives are available by phone and chat to assist you with any questions or concerns you may have. They are available 24 hours a day, 7 days a week. Please feel free to email us any time and a representative will get back to you promptly. James Allen uses unprecedented technology to photograph each diamond that we sell. By providing actual photos of our inventory, you can examine each diamond exactly as a jeweler can. We are the first site to offer this important feature, and the only site to offer such a large number of real photos. Plus, with our Virtual Loupe, you can see any of our diamonds at 30X magnification. We understand the significance of purchasing a diamond, and we guarantee you will find what you are looking for. At James Allen, what you see is what you get. This item(s) has been added to your wishlist. Would you like to view your wishlist? The pavilion angle is the angle of the pavilion facets relative to the girdle plane. Pavilion angle is a very important component of a diamond’s proportions, because it greatly affects the amount of brilliance a diamond will display. The crown is the top part of the diamond, from the girdle to the table. The crown angle in a well-cut diamond should be 33 to 35 degrees. Crown % refers to the distance from the diameter of the diamond to the bottom-culet facet. The percentage is calculated as follows: Distance from diameter to bottom-culet facet/diameter. Pavilion % refers to the distance from the top-table facet to the diameter of the diamond. The percentage is calculated as follows: Distance from top-table facet to diameter/diameter. The L/W Ratio of a diamond compares its Length to Width, resulting in a ratio that can be helpful when purchasing a fancy shape diamond. A ratio of 1.0 indicates a diamond that is perfectly square or round. As the ratio increases, the diamond becomes more elongated in shape. The mail has been sent. © 2019 James Allen. All Rights Reserved. You have selected a ring setting and a loose diamond separately. Would you like to combine them into a complete engagement ring? In order to proceed, I agree to allow James Allen to share information with Sears. I am a Shop Your Way member, and I would like to earn points for any purchase(s) I make. I agree to provide the necessary information to earn points. Please Note: The field(s) in red are required. Looks like you're already registered! Instructions to reset your password were sent to your email. A customer account with this email already exists, please use a different email address or Log In. Thank you. Please check your email to confirm your registration. Thank you for signing up for our exclusive offers. This is an actual diamond. Click & drag from side to side to view in 360°. This is an actual gemstone. The page was sent to your friend. This specific setting requires a center diamond or gemstone. You already have a ring setting, would you like to change it? You already have a diamond setting, would you like to change it? Diamond was added to Comparison ListView the list? *Does not include loose diamonds, gemstones, or designer collections. Cannot be combined with any other offer. Promotion ends Jult 25, 2018 at 11:59 PM EST. *With the purchase of any single True Hearts diamond, receive 25% off your ring setting. Excludes designer collections. Cannot be combined with any other offer. Are you sure you want to leave the Ring Concierge? Are you sure you want to close the Inspiration Gallery ? A mail with instructions has been sent to you. 1. The first month’s installment is charged to your credit card. To ensure all debts are paid off, the entire purchase amount is held in reserve on your card at no cost to you. 2. Your credit card will be charged on a monthly basis and the same amount will be deducted from your credit line hold. 3. Monthly payments will appear on your credit card statement, but the remaining amount on hold will not show up as debt.